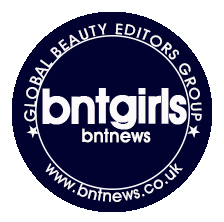 This month's BNT Beauty Box is full of interesting and fairly new (at least to me) products. I had previously reviewed the Faith in Face Cleansing Water which was surprisingly good and along the lines of cleansing is another quite promising product which is the Migabee Seabuckthorn Pureberry Oilsoap. Made from natural ingredients mostly fruit extracts, the Seabuckthorn Purberry Oilsoap is good for all skin types and it "removes makeup, dirt and oily ingredients; covers the skin with detailed and soft texture, and is made of water soluble oil soap." After a little bit of research on this product, I found out that this is not only use as a facial cleanser but is a multi-use product. It can be use as a body wash and shampoo as well. This reminds me of a similar product I tried out before in a lavender scent but for my sake I just couldn't remember the brand. And speaking of lavender, this is also available in Lavender, Peppermint, Honey and Rosewater. My niece really likes how this soap smells and she said it smells like flowers and lemons. It is not strong and offensive but the scent does cling on to you after washing with it. This bottle is full-size and contains 310mL of product - a lot if you ask me. The front of the bottle contains a list of ingredients and a short description of the product in English. Turn the bottle around and all you will see is Korean characters. I believe there is instructions there somewhere but since I can't read Hangul I just tried to figure out how it works by trial and error. What I did was to rub it on gently to my dry face. Having a light makeup on (BB cream, bronzer and brow product) it broke down the makeup and actually cleansed my face pretty well. It also foamed up really nicely just as shown on their promo photo. However, with a full face of makeup on (long wearing foundation, bronzer, blush, waterproof liner and mascara), I find that it doesn't really do a good job of removing everything. It would break down the makeup but it wouldn't foam up. As you can see on the demo photo below, there's still remnants of the red lipstick, eyeliner and mascara. Kim, another BNTGirl actually received the Rosewater version of this Oilsoap and she had a severe reaction to it (read more of her experience here). Thankfully, this Seabuckthorn Oilsoap didn't give me the same reaction. The only thing I didn't quite like about this product aside from it not removing all of my makeup thoroughly is that it stung my eyes. Not that badly but still uncomfortable. I probably wouldn't use this as a shampoo but I might try it out as a body wash. It has been moisturizing on the face so it would be great on the body as well. Anyway, I'm not really a huge fan of this cleanser since I like my cleansers to remove every single makeup product on my face. I'm just gonna save this for those days where I'm removing light makeup.